K+A selects a charity or volunteer program to donate items to every year during the Holiday Season. 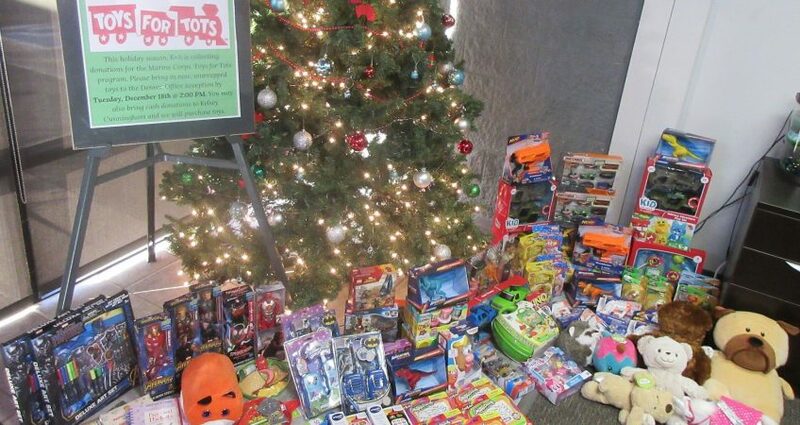 For the 2018 Holiday Season, K+A held a Toy Drive with all of our offices and recieved more than $500 in toys for the Marine Corps. Toys for Tots. Since 1947, the Toys for Tots program has helped the less fortunate and delivered toys to more than 251 Million Children.